Rudinë Jakupi is employed as a Researcher at the Kosovar Centre for Security Studies on behalf of the Think Tank Young Professional Development Program for MA and PhD Graduates. She has completed the Master Programme in International and European Relations at Linkoping University, Sweden for which she has been awarded a Swedish Institute Scholarship for Western Balkans. Rudine has a Bachelor degree in Political Science from the University of Prishtina. She has previously worked at the UN Women where she has been engaged in research related to transitional justice, more precisely in Conflict Related Sexual Violence. She has also been an active member of civil society through engagement in local and international NGOs in Kosovo and Sweden. 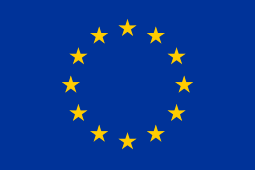 Rudinë’s research interest include: International Peace and Security; the European Union; Human Rights; Gender and Security. 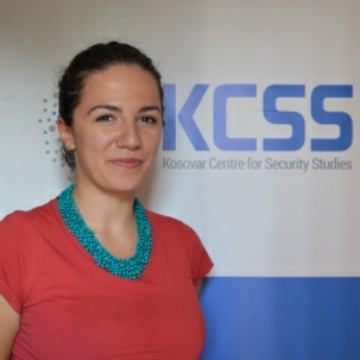 KCSS is an independent policy research centre founded in April 2008 and based in Prishtina, Kosovo. KCSS is dedicated to security sector development and reform in Kosovo and Western Balkans.